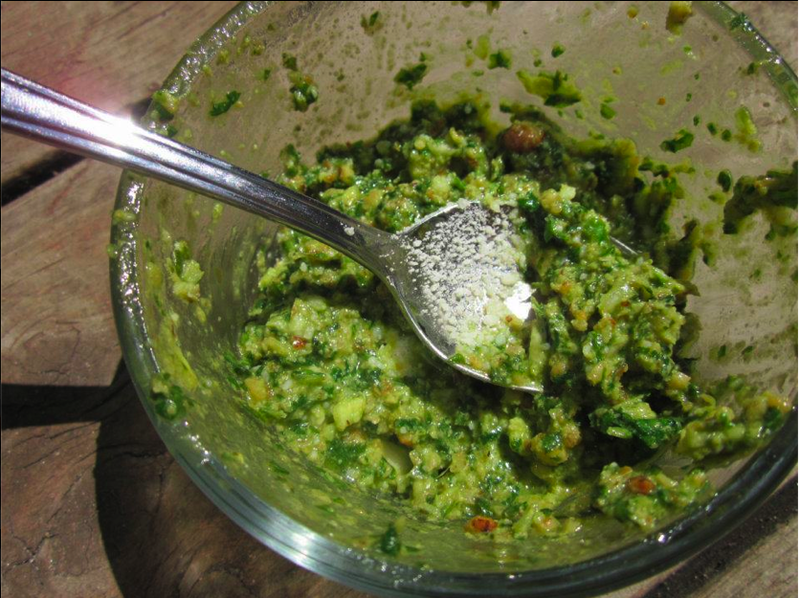 Summery and flavourful this pesto invokes the fresh flavours of summer and is excellent on fresh homemade pasta! Simple and easy to whip up fast, this pesto is great for a hot summer day where you don't want to be slaving over the stove. 4)Before serving add parmesan (some toasted and powdered rosemary would be good too!) and it’s ready to go!